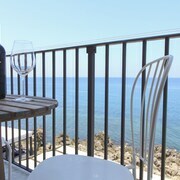 Situated by the sea, this hotel is 2 mi (3.3 km) from Acqua Verde and 2.9 mi (4.6 km) from Cefalu Beach. Salinelle Beach is 2.1 mi (3.4 km) away. It was in the middle of the old town and close to all the sites. The room was clean and spacious. Very friendly,helpful host. Room was fine and breakfast excellent. 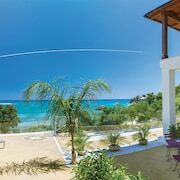 Which hotels are closest to the Cefalu airport? Where to stay near top Cefalu attractions? 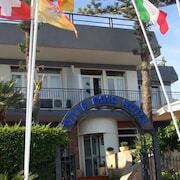 What kind of hotels are in Cefalu? 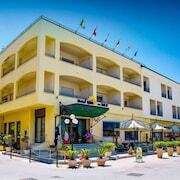 Which hotel chains are in Cefalu? Travelers to Cefalu give high marks for the beaches. Tourists can also enjoy the city's ancient ruins and cocktail bars. The city is notable for landmarks like Sanctuary of Gibilmanna, Salita Saraceno Staircase, and Osteria Magno. The city's natural setting is picturesque, including the beaches and these places to visit: Caldura Beach, Cefalu Beach, and Rocca of Cefalu. A couple of additional sights to add to your agenda are Il Castello and Temple of Diana. 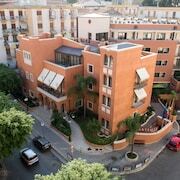 Calette N.5 - With a stay at this 5-star hotel, guests can enjoy access to a marina and 2 restaurants, along with free WiFi. It's a favorite with Expedia travelers for its dining options and pool. Lirma B&B - Our customers like the breakfast and location at this B&B. Amenities at this bed & breakfast include free breakfast and free WiFi. A' Jureka Bed and Breakfast - With a stay at this 3-star bed & breakfast, guests can enjoy access to free breakfast and concierge services, along with free WiFi. If you want to explore the larger area, ride aboard one of the trains from Cefalu Station. Cefalu might not have many public transit options so consider renting a car to explore the city. 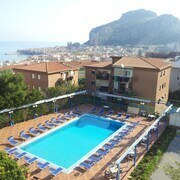 What are the most popular hotels in Cefalu? 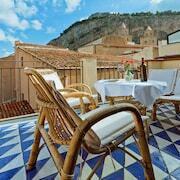 Are there hotels in cities near Cefalu? 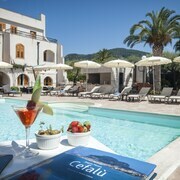 Explore Cefalu with Expedia.com.au’s Travel Guides to find the best flights, cars, holiday packages and more!